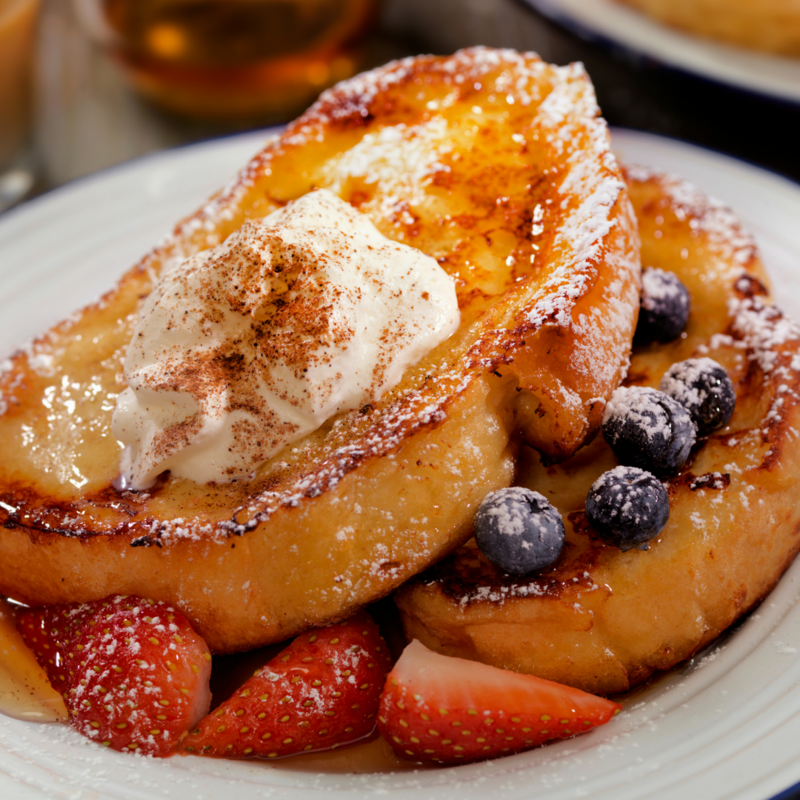 Jazz up your weekend brunch with this delicious baked caramel French toast. Serve with maple syrup and berries for ultimate sweet treat. In a small saucepan, bring the brown sugar, butter and corn syrup to a boil over medium heat, stirring constantly. Remove from the heat. Pour into an 8-in. square baking dish coated with cooking spray. Arrange bread over caramel. In a small bowl, whisk the eggs, cream, vanilla, cinnamon and salt; pour over top. Cover and refrigerate overnight. Remove from the refrigerator 30 minutes before baking. Bake, uncovered, at 350° for 20-25 minutes or until a knife inserted in the center comes out clean.